Tim was having a bit of a go at Annie Duke, the poker-playing author of Thinking in Bets. This is not so far removed from traditional decision theory as it sounds. 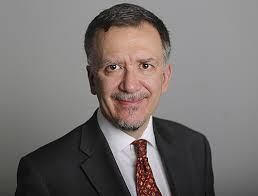 Tim points out that Nassim Taleb (the Black Swan author) has warned against the “Ludic fallacy” – that the unknown risks of life are the same as the known risks in a game of chance. Poker is better than most games, since it involves buffing / deception, and demands an assessment of the character of your opponents. It’s easy to be overconfident if there are no consequences for being wrong (ie. you don’t have a bet on). Tim recommends that we instead think in experiments. This seems to mean small pilots / proofs of concept whenever you plan large change. 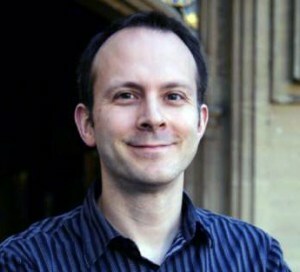 He gives the example of moving his family to Oxford, and I agree with him when it comes to decisions like this. I spent four years of weekends in the area around my current house before buying it, and then did the same thing again before my other half bought her flat. And I’m now fourteen years into researching the ideal location for a seaside cottage. But these are big, almost one-off changes. For smaller, more repeatable decisions (such as the kind you make in investing) I’m still drawn to the idea of thinking in bets. 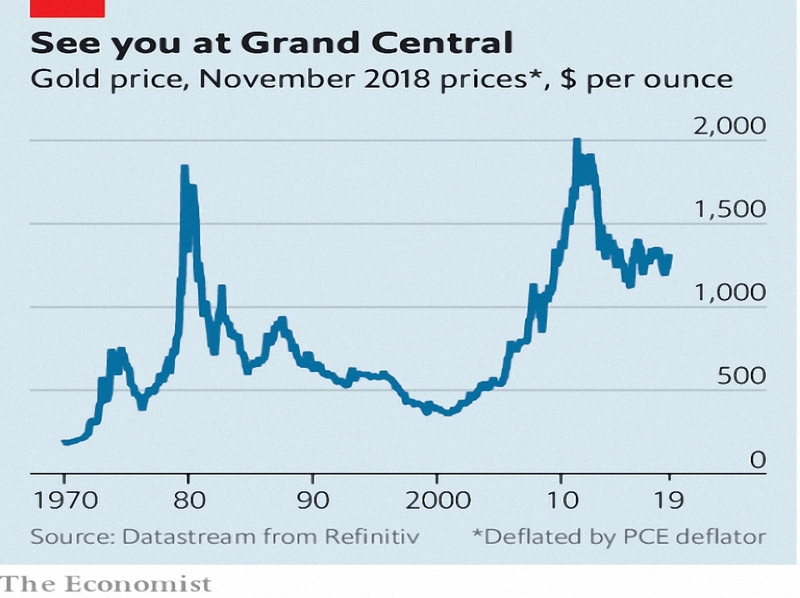 In the Economist, Buttonwood looked at the case for holding gold. This is a subject that we’ve covered a couple of times already: 1 and 2. Buttonwood draws an analogy with the “natural focal point” of where to meet in New York – Grand Central Station at noon. In the same way, gold (along with the dollar and perhaps the Swiss Franc or the yen) is a natural safe haven asset. One big problem with gold is “the company that it keeps”. Goldbugs are often preppers with beans and bullets rather than a globally diversified portfolio. 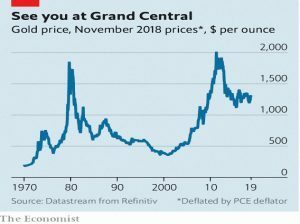 The other issues are that it has no yield (indeed, there can be storage costs – but then the other safe currencies, apart from the dollar, have negative yields ) and there is little inflation for it to protect against. But if you think of it as insurance, and don’t hold too much of it, it makes more sense. 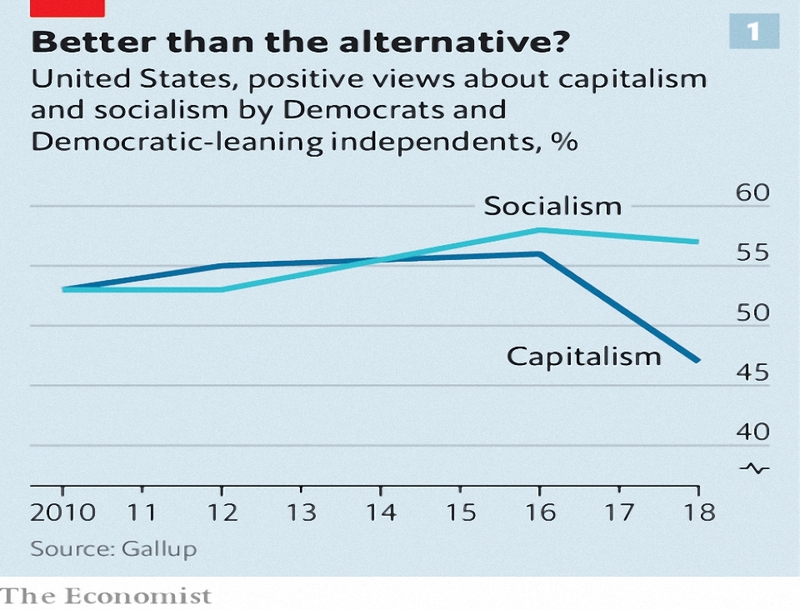 The Economist’s leader this week was on millennial socialism. Inequality and the environment are the key issues for these youngsters, along with universal health care (in the US) and free college. 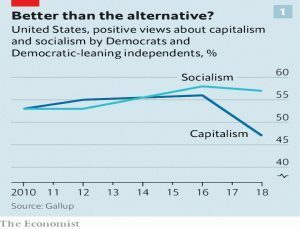 Of course, The Economist agrees with much of this in principle – but the facts don’t really support the analysis. 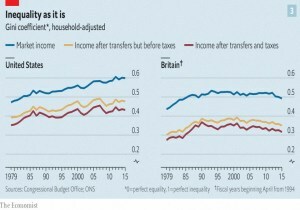 Post-tax inequality isn’t rising in general (apart from at the very top), and jobs aren’t really more precarious. There’s also the issue of between country comparisons, rather than the intra-national ones that leftists are fond of. 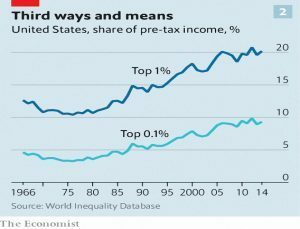 To really sort out inequality and the environment, big changes would be needed to the lifestyle and aspirations of normal people in both the developing and the developed world. Then there are the proposed solutions. 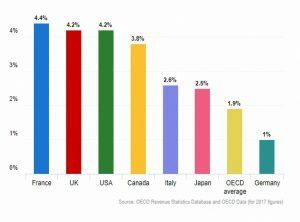 Massive increases in public spending can’t be funded by more taxes on the rich, or by endless expansion of government debt (we’ll revisit “modern monetary theory” in a future post). And a revenue-neutral carbon tax would be a better approach to climate change than massive centrally planned green energy spending. Bureaucracy at any level provides opportunities for special interests to capture influence. The purest delegation of power is to individuals in a free market. The socialists’ urge for greater control of the firm is rooted in a suspicion of the remote forces unleashed by globalisation. Empowering workers to resist change would ossify the economy. 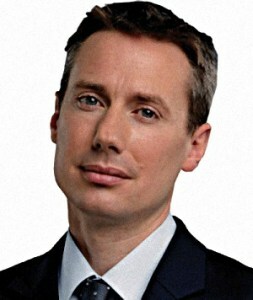 In the Spectator, Jan Zeber argued against wealth taxes. 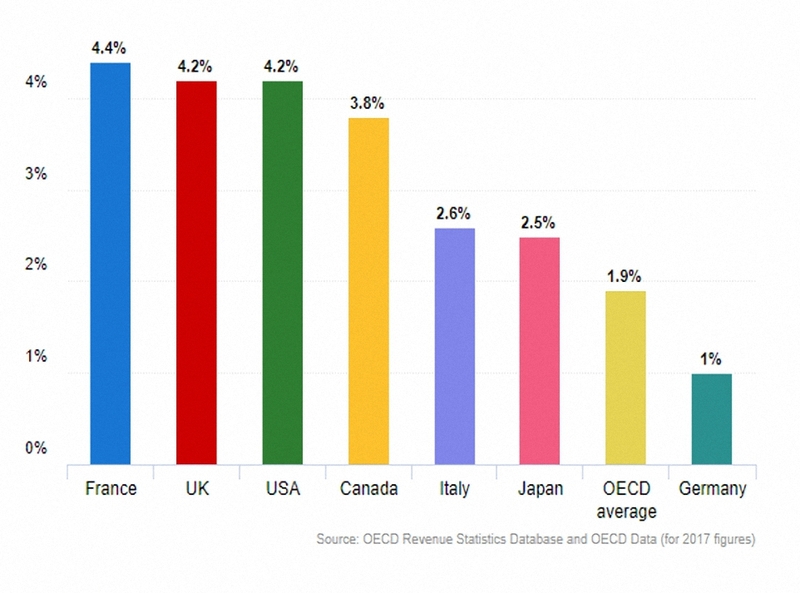 In 1965, nine OECD countries collected what are called net wealth taxes on individuals. By 1996, that number had risen to 14, but it had dropped to just six by 2019 – Spain, Switzerland, Norway, Belgium, Italy and the Netherlands. Countries found that wealth taxes weren’t raising enough to justify the economic, administrative and political costs. 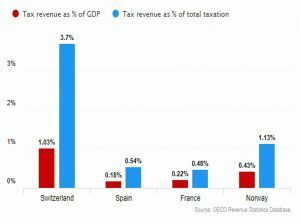 Net wealth tax revenue as a percentage of GDP in 2017 ranged from 0.2 per cent in Spain to just over 1 per cent in Switzerland. Hit lots of people (and therefore risk being unpopular and / or driving away rich people). 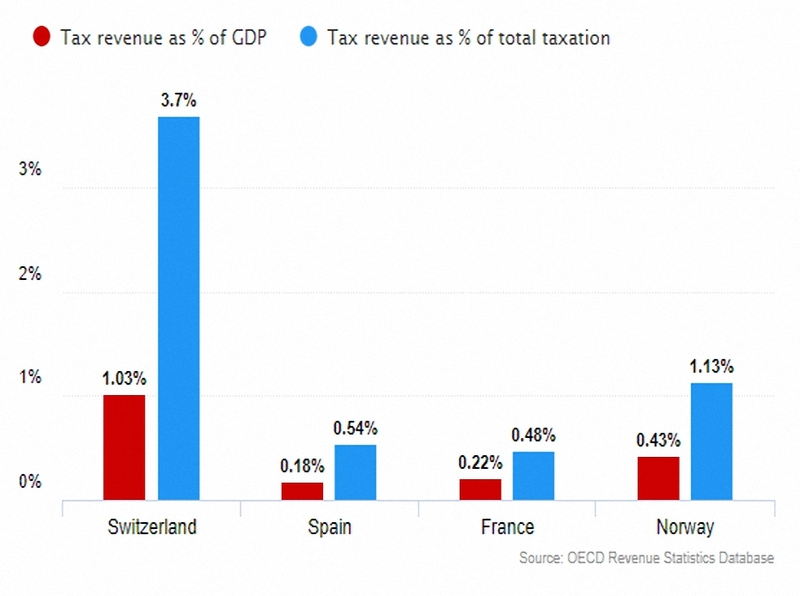 The Swiss tax comes the closest at the moment. Wealth taxes are also harder to administer, since wealth is harder to track than income or spending (for VAT). 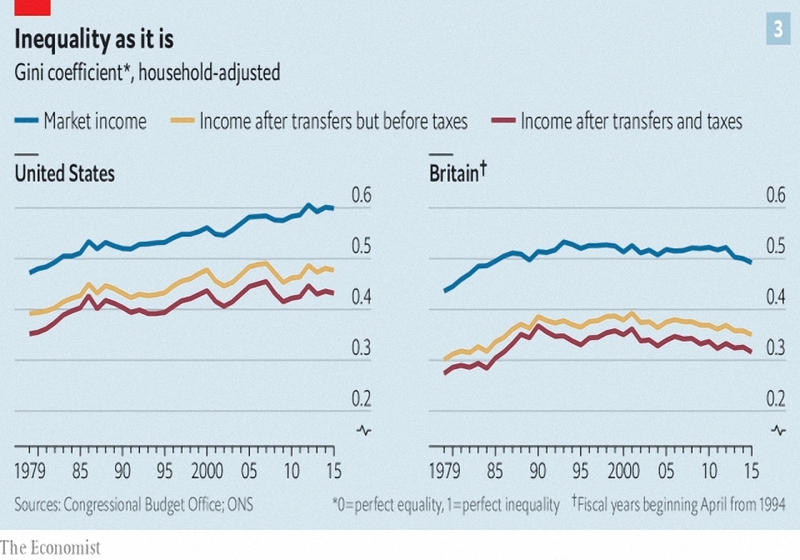 Wealth is far more difficult to tax than income. Neither the mountains of wealth held by the world’s richest billionaires, nor Britain’s store of pricey property, will ever be a surer way to prosperity than genuine wealth creation and economic growth. Henry Tapper over at Pension Playpen looked at whether your house should be on your pension dashboard. The Equity Release Council has been lobbying for this, but a recent opinion piece in the FT Advisor (by James Coney) suggested that it shouldn’t. 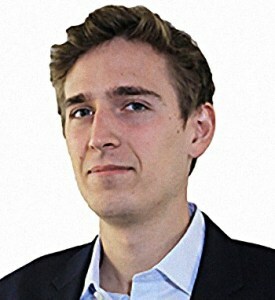 Apart from the obvious objection that a property is not a pension, James is uncomfortable with anything that supports the UK’s obsession with property and property prices. What is more, our attitude towards property has led to many people to make some very bad financial choices. Henry says that James is talking about a general over-reliance on property equity for retirement. I agree with James about this – the private investors that I meet (and indeed, many of those that I coach) have an over-reliance on property. But I would still include property in a dashboard (though perhaps it should be called Retirement or FInancial Independence Dashboard, rather than a Pensions Dashboard). That’s because the biggest problem with most people’s portfolios is an under-allocation to equities, rather than an over-allocation to property. Looking at your finances in the round – on a total net worth basis – give you the best chance of noticing how little you have allocated to stocks, and of doing something about it. Sticking with pensions – and with the FT Adviser – Maria Espadinha had an article about the potential six-figure tax bills that some pensioners could face. Back in October, the High Court ruled that Lloyds bank’s pension scheme had to equalise benefits between women and men with guaranteed minimum pensions (GMPs, arising out of contracted out benefits decades ago). 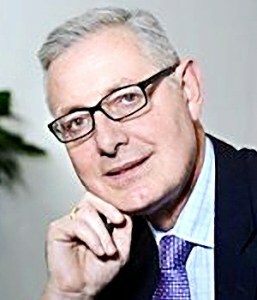 Some schemes are looking at converting GMPs into normal pensions. 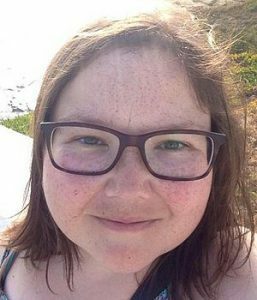 But this could be treated as a new contribution to the pension, which would invalidate protection taken out by more than 100K pensioners to protect previous levels of the lifetime allowance (LTA – formerly at £1.8M, £1.5M and £1.25M). Since the penalty for breaching the LTA is a 55% tax, anyone bumped down from £1.8M protection to the current £1.03M could face a bill of more than £400K. This is clearly unfair, so I hope that the government will come up with a way around this. I should declare that I have fixed protection, and I have already been forced to forego an enhanced transfer value for a DB pension because it would have been counted as a new contribution. The LTA is a stupid arrangement that penalises good performance and taxes both on the way in and on the way out. The best thing to do would be to abolish it. John Authers wrote about share buybacks in his Points of Return column for Bloomberg. Bernie Sanders and another US Senator have called for limits to buybacks, which topped $1 trn for the first time last year. 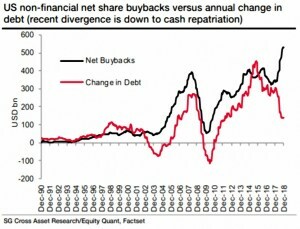 My general take on buybacks is that they are an alternative to dividends as a means of returning cash to shareholders, but with marginally better tax treatment. 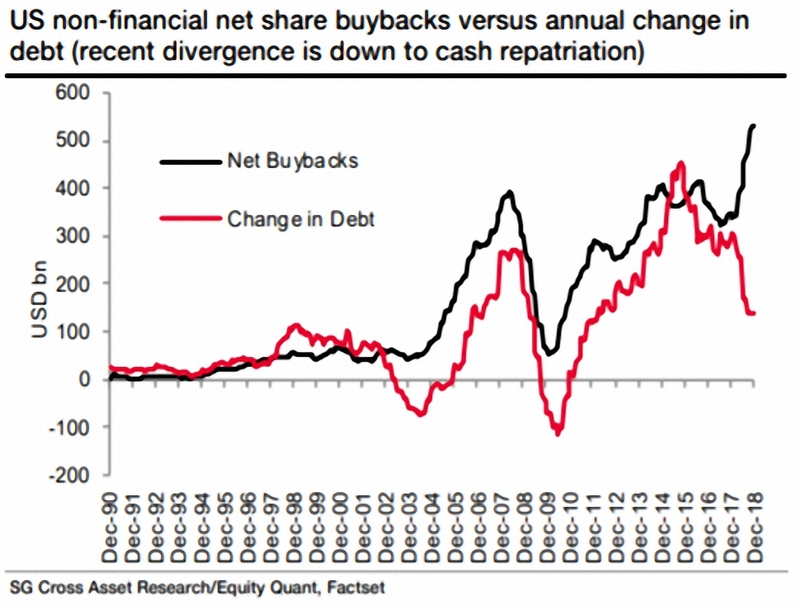 Is the price at which the buybacks take place a good one (ie. is the share price below the intrinsic value of the firm)? Is there a good reason why are the management of the firm can’t find useful things to do with eth cash they hold? Are the management motivated to keep the stock price high by stock options that they want to exercise and / or sell? Stock buybacks used to lead to share price outperformance (though this no longer seems to be the case). This effect was driven by an increase in earnings per share because there were fewer shares remaining in issue. There doesn’t seem to be any impact on investment or cash levels for companies in the S&P 500. 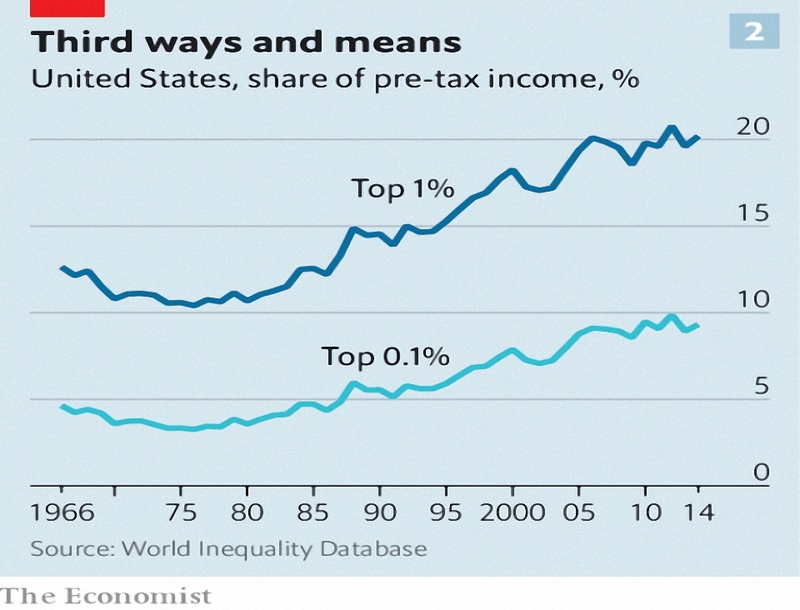 Both these measures are high historically. For many observers, buybacks are a symptom (of lower and more volatile corporate earnings, largely because of globalisation) than a cause. Firms that carry out buybacks rather than pay down debt – or indeed, borrow to carry out buybacks – form a less defensible sub-category. According to SG, it is the smaller companies of the Russell 2000 – rather than the S&P 500 – who have gone down this route. 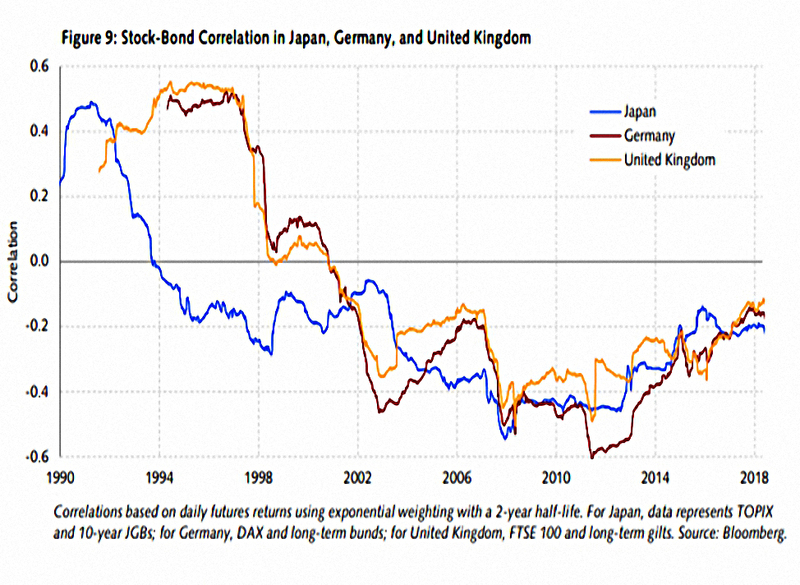 John also wrote about the correlation between stock and bond returns, and its relationship with inflation. 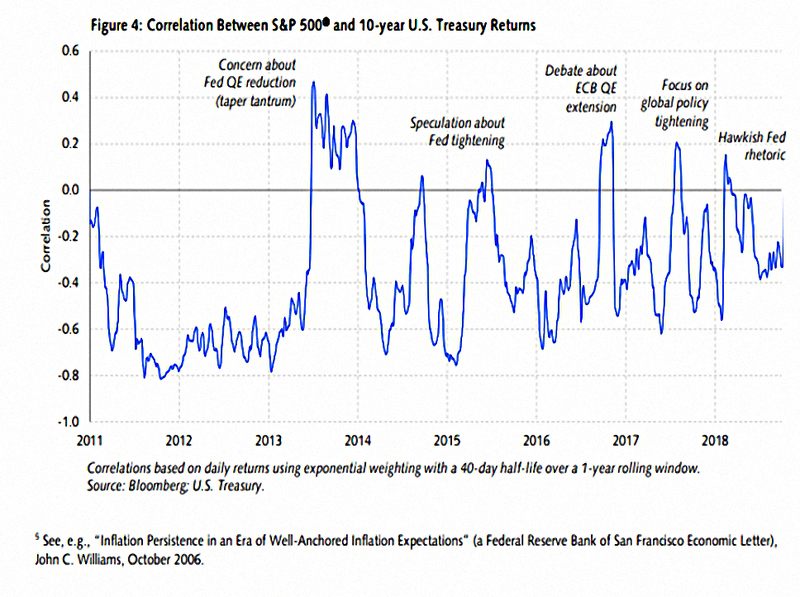 Most people believe that stocks and bonds move in opposite directions. 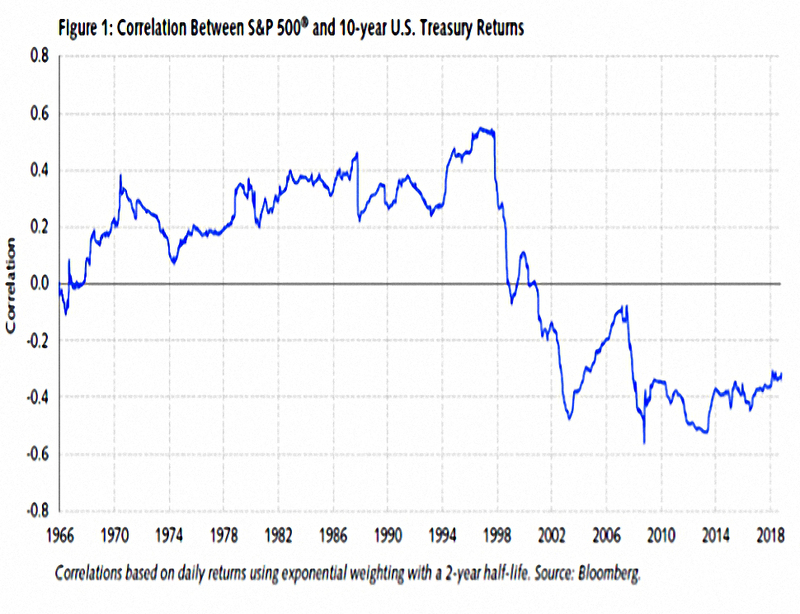 But in fact the long-term correlation is almost zero. 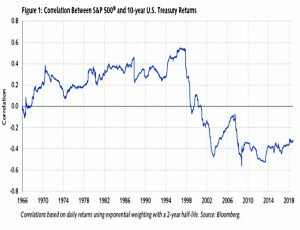 And for thirty years to the last 1990s, stocks and bonds were positively correlated. 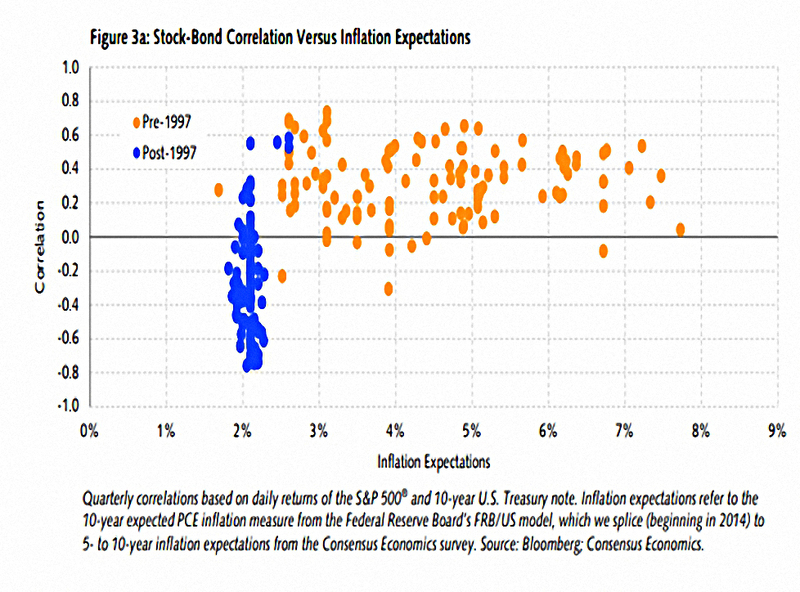 The change seems to be related to inflation expectations. 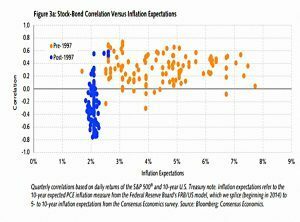 Stock and bond returns diverged when the long “battle against inflation” had been done, and inflation expectations fell to 2%. 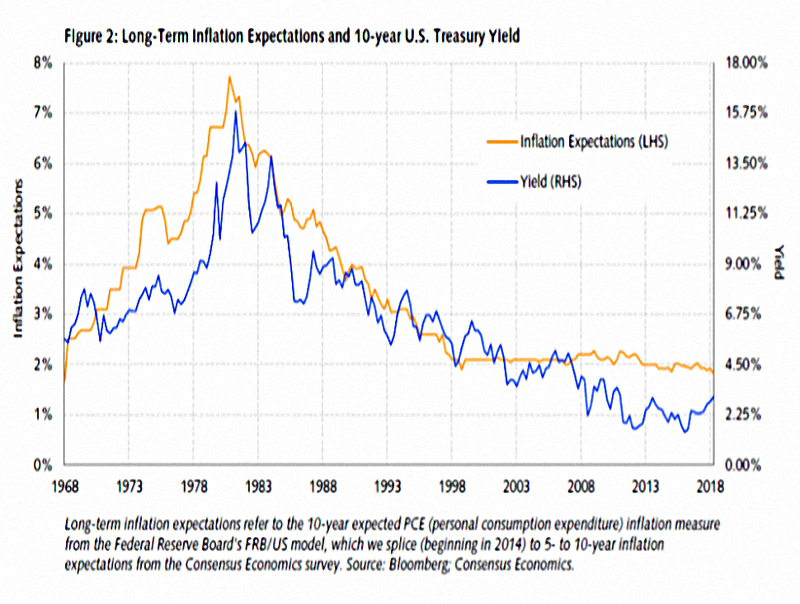 Note also that these expectations typically lead bond yields. 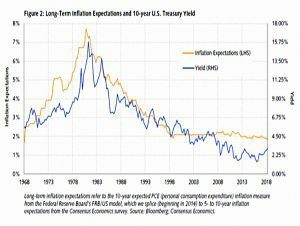 John covers four rising yield scenarios that explain the relationship. Basically, the attitude of the central bank was key until the inflation battle had been won. Now the prospects for the economy dominate, which means that bonds can fall while stocks are fine. 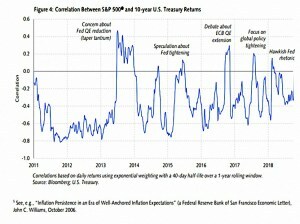 Alpha Architect looked at how risky the value and size premiums are. And at whether there is a size effect. The Adventurous Investor looked at the demise of the A380 and the aircraft leasing funds. 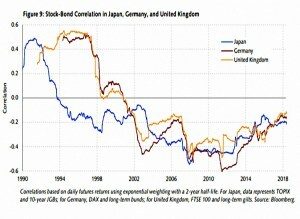 And at how different factors respond in a dynamic rates environment. And at the cynical fund fees that punish private investors. The Times reported that mug punters might have the last laugh on City analysts. The UK Value Investor gave his FTSE 100 valuation and forecast for 2019. The Economist reported that dynamism has declined in Western Economies. SSRN had a paper looking at Three Blunders That Plague Factor Investing.